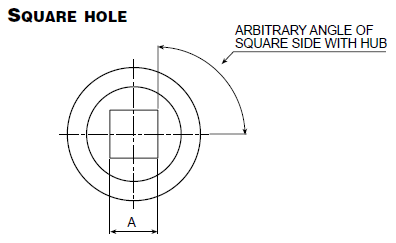 Jencan can provide square or hexagonal holes in their inserts with through-holes. 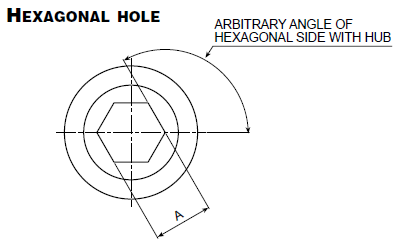 If the final application allows it, it is possible to have the same square or hexagonal holes obtained in the plastic by means of moulding. As the material used for our handgrips is always reinforced with glass fibre, the resistance of the walls is considerable. If a metal insert is not used then this solution can be suitable for applications in the medical or food industries or outdoors, as there are no metal parts which could oxidise or rust. The only point to be aware of is that the tolerance of the hole will not be exact. This is due to the actual nature of material which is injection-moulded.